Rehab therapy is prescribed for millions of Americans each day as a way to help regain a normal life. Injuries, illnesses and even medical complications can cause a loss of muscle function and strength, making it hard to do everyday tasks, like walking or eating. After undergoing conventional treatment to prevent further complications, additional therapy is often necessary to further improve the condition and heal the muscles. If you think this type of therapy is for you, here’s everything you need to know. Rehabilitative therapy is a service given to people who have lost the ability to function normally. 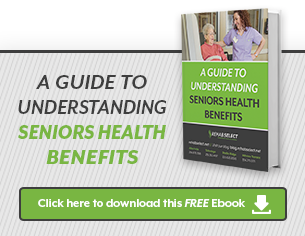 It includes a combination of rehabilitation services that almost always include exercise. Since it is sought out by people with a wide array of medical conditions, the sessions are tailored specifically to each person’s physical ability, medical requirements and goals. In some cases, therapy is given in a group setting, but those with severe handicaps may require personal sessions. (This is often true of individuals who have just come out of a coma or recently recovered from a stroke). While it is possible to sign up for rehab sessions directly, a doctor will usually make the referral. He or she will establish the goals of therapy and create a personalized prescription to meet these goals. 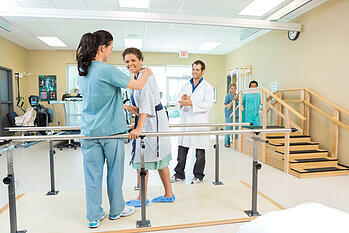 The intensity of therapy sessions are decided upon by the referring physician and rehab therapists. Rehab therapy is prescribed for anyone who has suffered a debilitating injury, serious illness (where long-term bed-rest was recommended) or chronic medical condition that causes restricted movement. The goal of treatment is to restore or improve muscular function and strength and to prevent muscle loss (muscular atrophy). To gain the above benefits, it may take several sessions of therapy. The goals may change within these sessions depending on the progress. The overall goal of treatment is dependent upon the condition causing the loss of muscle function. Some people require long-term treatment, whereas other people need just a few sessions. Sessions are given at rehab clinics, outpatient clinics and hospitals. In severe cases, the sessions may be given at home. Rehab clinics work with patients who have a variety of diseases and injuries, so the on-site staff normally consists of nurses, psychologists, speech pathologists and audiologists. Most rehab clinics look very similar to fitness centers. They have weights, treadmills, exercise balls and resistance bands, and swimming pools. Specialty equipment might also be onsite to help treat individual needs. The patient will be expected to use many of these tools to improve muscle function and tolerance. The therapist will demonstrate each workout and teach the patient how to do it correctly. In the beginning, the exercises may be a little taxing, so patients are expected to start off slow and build up their tolerance over time. Some people may experience a great deal of emotion during the first few sessions (especially after a serious injury or disease diagnosis). This is why emotional support from family, friends and staff is often suggested throughout the sessions. The main benefit of rehabilitative therapy is to improve muscle function. According to the Journal of Cardiopulmonary Rehabilitation and Prevention, it may improve peripheral muscle function, which in turn builds tolerance for exercise. It also helps to retrain the nerves and muscles to respond to certain movements. This is especially helpful for people with nerve damage. Without rehab, the nerves may grow back incorrectly, which could cause permanent loss of function or deformities. The bands used in therapy sessions can improve muscle strength, loosen tight muscles and prevent muscle overexertion. There isn’t a set time period in which results are apparent. However, regular sessions over many months may be particularly helpful.